What Does it Take to Be a CEO? #infographic ~ Visualistan '+g+"
In the glitzy tech world, CEOs like Mark Zuckerberg, Larry Page, and Marissa Mayer inspire profile after profile where the rest of us are trying to figure out: what’s the secret to their success? Is it better to be an Ivy League graduate or a dropout? What do they eat for breakfast? While there’s no secret trick to suddenly having the drive and charisma that make these leaders who they are (and maybe some luck), there are still significant statistics that reveal the shared characteristics among CEOs who have made it today. Below, Harvard Business School has gathered these stats into one helpful infographic. 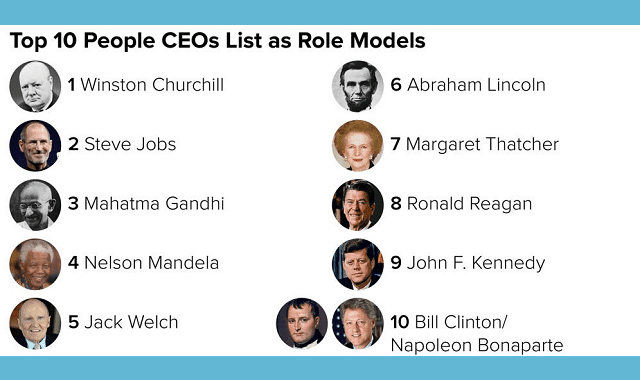 It includes notable traits across today’s most successful CEOs as well as how they quite literally moved up the ladder.